A large ministry was going through a leadership transition. The CEO knew it was time for him to retire soon, but he wanted to assure that the organization would continue to cling to God in the future. The organization’s board developed a two-year plan that included immersing the new person into the culture of the ministry. They especially wanted him to regularly witness the existing CEOs dependence upon God in how decisions were made. If you’re preparing your leaders for the future, remember the most important thing is to teach them how to cling to the Lord. 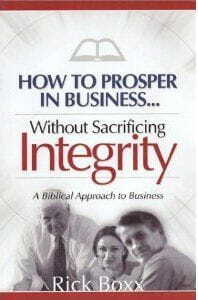 Integrity Resource Center’s "Culture" plan is designed to provide management with the necessary training and coaching to build a faith friendly and ethical culture throughout the entire organization. Learn more about our “Culture” consulting plan.